Due to some unforeseen circumstances, my November Box from BellaBox.sg arrived slightly more late as compared to other. No words can truly described how happy I was when it finally did. Was felling kinda sore reading the feedback of others who received theirs on time, while wishing for mine to arrive asap. Okie! I admit that I can check out under my account as to what will be sent to me by 10th each month after payment is being processed. But I prefer to let it remain unknown until I received my box. Afterall, its meant to be a surprise box. So why spoilt the fun? The theme for November BellaBox is Beauty By Nature, which means the products sent were made from natural ingredients with essential nutrients from Mother Earth. I had to admit that the BelleBox for this month is of a heavier weight than the previous one, just like the others had mentioned. The samples size were also of a bigger portion too. Not forgetting, we are also getting one samples extra (6pcs) as compare to 5 from the previous month. And also the happiness of find a retail size lip tar among the goodies. I feel so blissed. Am so eager to try out the various products soon. I have rectify the error, and also added some clues inside this new picture. For those who needs more helps, do feel free to email me. Or simply drop me a comment here. A very big congrats to Cindy for being the first to complete the puzzle. Am so glad that you had grown to love it as much as I do. Shall wait patiently for 2 more potential winners to email me the completed puzzle now. As compare to those olden days, consumers are now more cautious in their selection of daily necessities and are turning to using natural and organic products due to their health and wellness benefits (Euromonitor International Report June 2009). 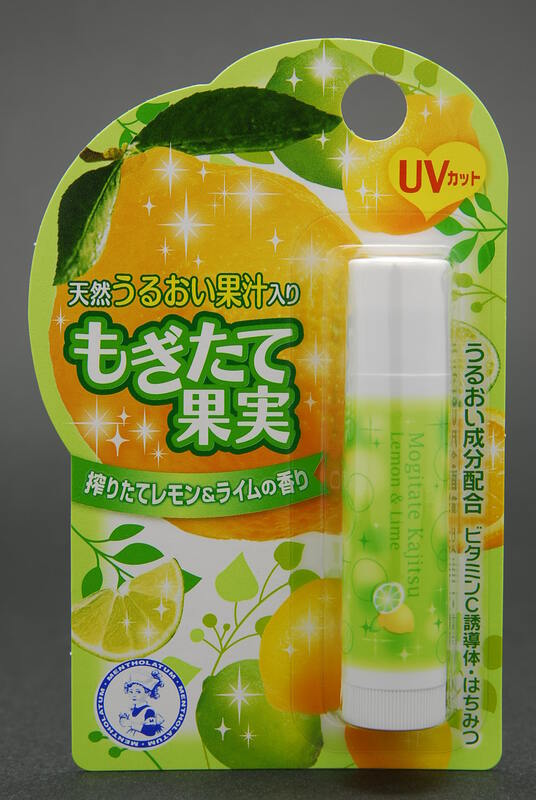 And in order to keep in line with the worldwide increasing demand for natural products, the Mentholatum Mogitate Kajitsu Lip Balm series is thus borne. “Mogitate” means “Fresh” and “Kajitsu” means “Fuits” in Japanese. It comes in ﬁve diﬀerent fruit mixes for you to take your pick: Strawberry, Grape & Berry, Orange & Mango, White Peach and Lemon & Lime. Mogitate Kajitsu is made with Fresh Fruit Juice which contains essential minerals and vitamins that are beneficial to the lips and body. It also contains Honey, which heals and renews the lips. It also contains other moisturizing booster such as Squalane, Grape seed oil, Vitamins A and E. Squalane is easily absorbed, and is similar to the natural oil on our skin. It is an extract from plants and is a highly prized Japan supplement. Squalane helps to reduce wrinkles caused by aging and sun damage. Grape seed oil helps to repair skin. Vitamins A and E are antioxidants that retard lip aging, and gives lips a healthy shine. Since its launch in Japan in 2003, Mogitate Kajitsu had been been very well-­loved by the Japanese teens and young adults for its fun, exciting ﬂavours and colourful packaging. Together with its nourishing Real, Natural Fruit Juice & Honey formula, it is no wonder that Mentholatum Lipbalm is the #1* Bestselling Lipbalm Brand in Japan! A million thanks to The Sample Store and Mentholatum for giving me a chance to try out such wonderful product. I was sent the Orange & Mango flavour. The moment I opened the cap, I was greeted by a very sweet fruity scent. It smells just as the actual fruit. The texture of the lip balm is very smooth and that makes gliding it on the lips easy as a breeze. I put it on before starting work each day and by the end of the day, my lips still remain very hydrated despite being in air-con environment for many long hours. No more chipped or cracks lips for me now. The portable size also makes its ideal to be put into pocket or even small wallet for touch up, especially after meals. I also Want To Try! Menthlatum is currently giving out free petit size samples of this wonderful product. Do click HERE to get you hands on one if you are interested. Bought a new conventional oven quite some time ago during the electronic fair. Travelling from Telok Blangah to S’pore Expo proves to be slightly fatal, despite the ease of MRT. Not forgetting the mass crowds inside the hall that I had to face upon stepping in. Everyone is out to grabbed a piece of the various great deals. Very sorry if my previous rules seems hard to understand. Hope this helps. The goal of Shady Puzzles is to shade in all the blank squares correctly. 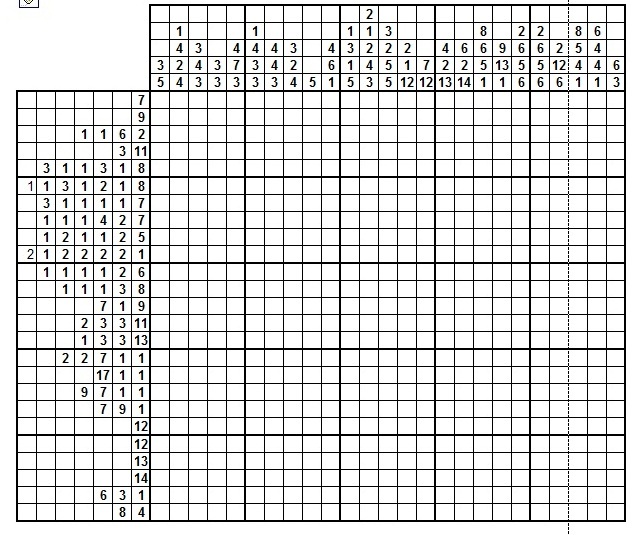 The codes at the side of the grid give you all the information you need to shade in all the squares. It is important that you check every ROW and COLUMN often while solving Shady Puzzles. 2) A comma between the numbers represents at least 1 space between the shaded squares. That’s all you need to know! Happy Shading!